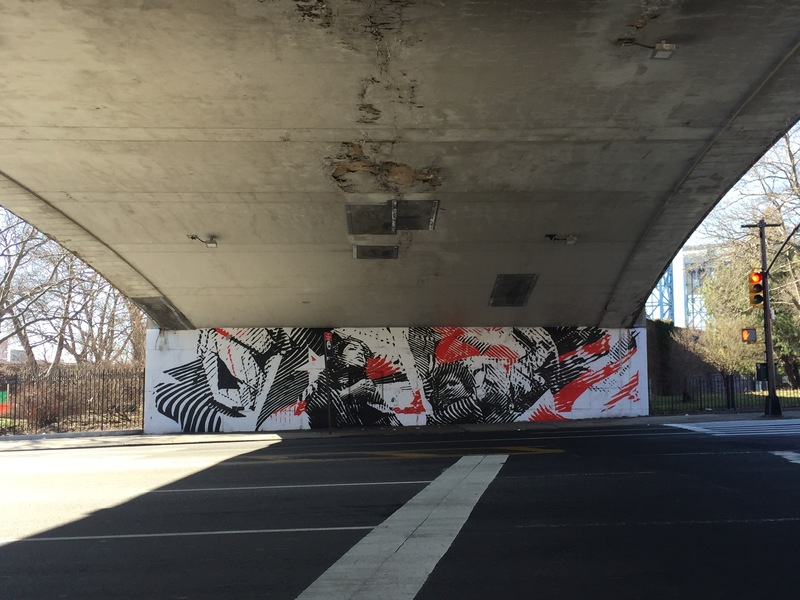 Location: 138th Street – Grand Concourse, South Bronx / The piece is located under the overpass just outside of the 138th Street – Grand Concourse 4/5 subway station. About the artists: 2alas is a graffiti art collective made up of Andrew Antonaccio and Filio Galvez. Andrew Antonaccio is originally from New York, NY and Filio Galvez is originally from Havana, Cuba. The artists are based out of Miami, FL.